Enriching the teaching and learning experience through the power of multimedia technology. A recent study projects that 85% of jobs available in 2030 have not been invented yet. How can students prepare to enter that workforce when they don’t know what they are training for? By enhancing their digital fluency. Digitally fluent students, and professionals, possess the skills to use technology for the creation of new knowledge, and combine those skills with critical thinking, complex problem solving, and effective communication to resolve challenges brought about by that new knowledge. By aiding in the incorporation of digital media technology into coursework, Media Commons provides a way to students to develop their digital fluency. From planning to publishing, our consultants offer support and guidance every step of the way. 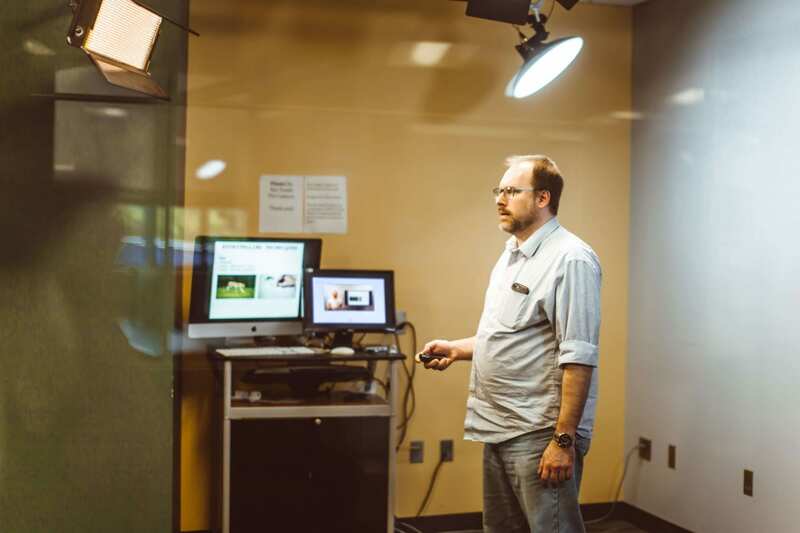 Beginners and advanced users across the Penn State community can benefit from access to our staff’s expertise, customized training sessions, and top-tier production facilities. 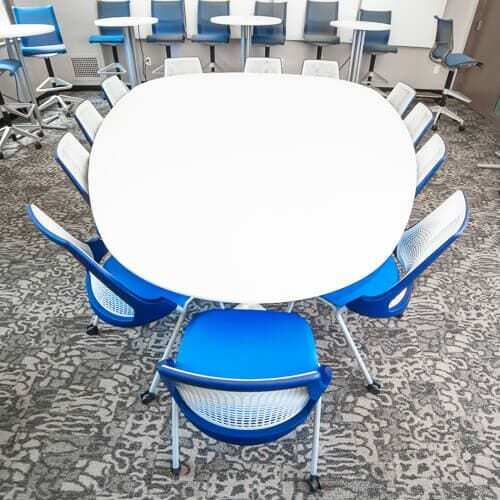 Media Commons spaces can be found at every Penn State location and they feature the tools needed to complete most customary multimedia tasks. Commonwealth campus locations have recording equipment, editing stations, and One Button or traditional studio space. University Park features five locations that include editing stations and One Button Studios, as well as specialized tools for specialized tasks. 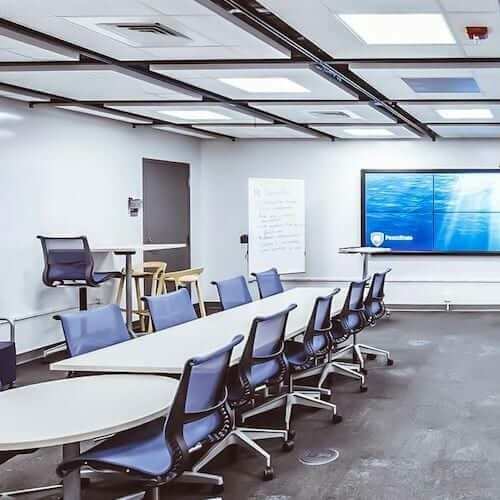 A co-learning laboratory where Penn Staters can explore emerging technology’s potential to transform education.ms. Media Commons projects can enhance your courses by encouraging students to look at problems and prompts in a different way. We would love to discuss your ideas with you!